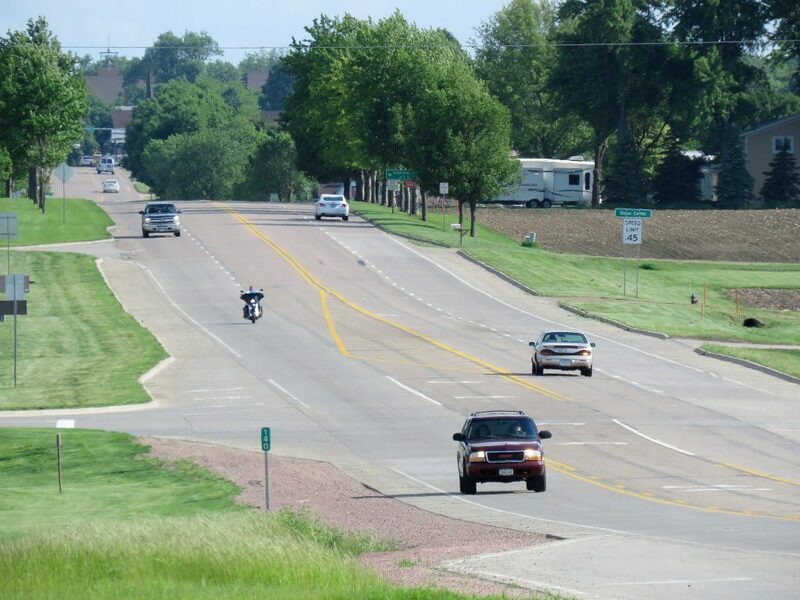 New junction including turning lanes onto U.S. Highway 75. Design and funding coordination with Iowa DOT. Stormwater runoff and detention needs. 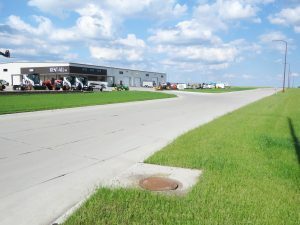 DGR Engineering worked alongside the City of Sioux Center and Sioux Center Land Development to help secure Iowa DOT RISE funding. Following a topographical survey and preliminary design, DGR performed the boundary survey which included transferring new road right-of-way to the Iowa DOT. The design and construction included evaluating the current and future growth trends of this portion of the City, such that sanitary sewer and water distribution system could be adequately sized to serve this development and future growth. The storm sewer design not only included the sizing of storm sewer pipe, intakes and stormwater detention basins, but also addressed an existing, undersized culvert beneath Highway 75. A phased traffic control plan was necessary to facilitate 2-way traffic on Highway 75 while a new culvert was being installed. DGR also worked with the businesses who relocated their operation along the highway frontage during the planning, design and construction phases to help the project best fit the end-user needs.